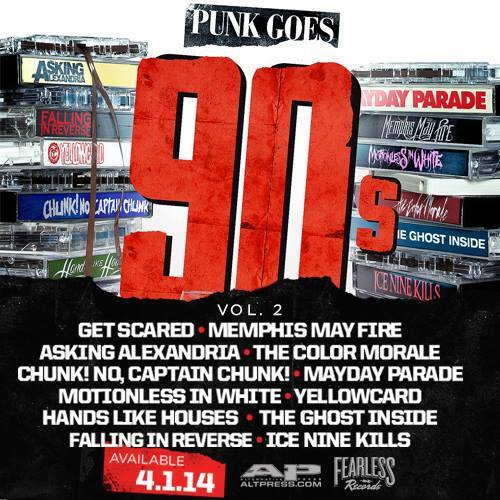 Punk Goes 90s Vol. 2 will be released on April 1, and Fearless Records have made a new trailer to evoke the atmosphere the decade and set up the mood. You can stream the trailer after the jump. If you listen closely, you can hear short clips of Mayday Parade covering “Comedown” by Bush, and the previously released Get Scared and Asking Alexandria covers of “My Own Worst Enemy” and “Closer,” respectfully. After hearing that abysmal rendition of Nine Inch Nails’ most well-known song, I must say that my expectations have been set. What track are you most excited about? Let us know down below.